The 99ers have regained the form that had them as preseason favourites to repeat out of the Alliance. A great blend of potent scoring, physical defense and solid goaltending got off to a slow start through the September showcase, but has since turned on the jets. The combination of Maddox Callens and Landon McCallum has been a terror for most defenses and if you stop that line, Steven Laforme and the surging Keegan Damota are waiting in the wings. This is where things can be argued over which team should be where. Windsor has been without a doubt the best defensive team in the loop and a lot of that credit goes to Max Donoso, who has solidified himself as the top netminder in the Alliance. With shutouts in 3 of his 9 starts, teams know their in for a long night when he is between the pipes. If Windsor can get their offense clicking and get more production from the likes of Jake Eaton, Cayden Faust and Ray Hamlin, I believe they are a huge threat to Brantford come the postseason. Always a perennial contender, London may be the only team that can match the offensive firepower of the 99ers. Led by leading scorer Brett Harrison, the Jr. Knights have put up some ridiculous goal totals as of late and have gotten great production from Tyler Hotson. All of this with Jordan D’Intino out of the lineup due to an injury. Michael Simpson and Josh Kirton have been great as a goaltending duo and arguably are the best duo in London since I’ve covered the Alliance. After the past two season, I’ve learned my lesson and will no longer doubt the Lakers. I wasn’t 100% sold on them coming into the year but they have proved me wrong. Camden Daigle has been a goal scoring machine and Sam Sedley is a big difference maker on the back end. To further their success, Huron will need to get more secondary scoring aside from Daigle and Cole Melady. Kitchener has been a very Jekyll and Hyde type team this year. Some games they look like world beaters, other games they come out looking flat. The talent is definitely there as Marko Sikic continues to showcase his skills and I’ve seen a vast improvement from Matt Sop’s game. Brandon Abbott has been very good in net for them this season. A good string of consistent performances would be huge for Kitchener going forward. Easily the hottest team in the Alliance, the Hawks have won seven straight games to catapult them from sniffing a playdown spot to sitting just below the likes of Kitchener and Huron-Perth in the standings. Ben Bates and Max Tremblay have both been phenomenal for Cambridge during their run as the Hawks have given up an just eight goals during their seven game winning streak. Kai Greaves has improved leaps and bounds and is nearly a point per game defenseman. The return of Mateo Amaral and the solid play from Matt Dimaline up front helps the team offensively. A huge improvement from their bantam season. Injuries really put a halt on the fantastic start that the Wolves had to begin the year. The Wolves were at one point down six regulars due to injuries and when your call-ups are also coming up injured, you know it’s not a good sign. Slowly getting healthy, the Wolves are a deep squad up front with three top scorers in Cooper Way, Owen Parsons and Kyle Maloney. If they can stay in tact on the ice, the Wolves should see home ice advantage in the opening round of playdowns. If Cambridge is the hottest team in the league, the Cyclones are right behind them. Chatham is unbeaten in their past seven games and that streak has put them in 8th spot currently in the standings. Their forward group has been the catalyst for their recent success led of course by Deni Goure, but also getting great contributions from Jett Morningstar, Daniel Fraleigh and Nicholas Mazza. It will still be a mission to overcome the rough start to the season they had, but they are certainly looking more like what I called a “surprise team” during the preseason. The Chiefs just haven’t been able to find consistency this year and December will be a big month for the team. Elgin plays a total of eight games in 21 days next month and that will be a big indicator as to where this team ends up come seasons end. Ryan Burke and Eric Bertelsen have been good for them up front but no other forward on the team has more than two goals. The jury is still out on Elgin, but we will know much much more in the coming weeks. With just four points in their last 13 games, Lambton has dug themselves a hole that may already be too large to dig out of. Offense was going to be the key to their success and while the volume of scoring hasn’t been there, it has been quite balanced across a handful of forwards. There is still a chance for the Jr. Sting though as they play 9 of their final 16 games against teams sitting 8th or lower in the standings currently. If Lambton can find their groove against those teams, they could still sneak into a playdown spot for the first time since the 2014/15 season. A team that saw lots of turnover during the offseason, the Panthers record is a bit deceiving as they have played some very close games. Eight games in fact that were decided by a goal or less. A couple bounces the other way and this could be a different conversation. Blake Boudreau has been a nice surprise offensively for the team with I believe Josh Cyrenne has very good on defense. SCP will need to average more than their current 1.67 goals per game should they want to make a second half surge. It has been another tough year for the red and white in Hamilton. The Huskies lead the league in goals allowed and snagged their lone win of the season back on September 29th against Sun County. Jacob Bramwell has once again been a steady presence for the team and Joel Verspeeten has come in and been the teams leading scorer. 2004 born Riley George hasn’t been overwhelmed playing a year up and that should be an indicator for next season. The Huskies will be trying to play the role of spoiler down the stretch. 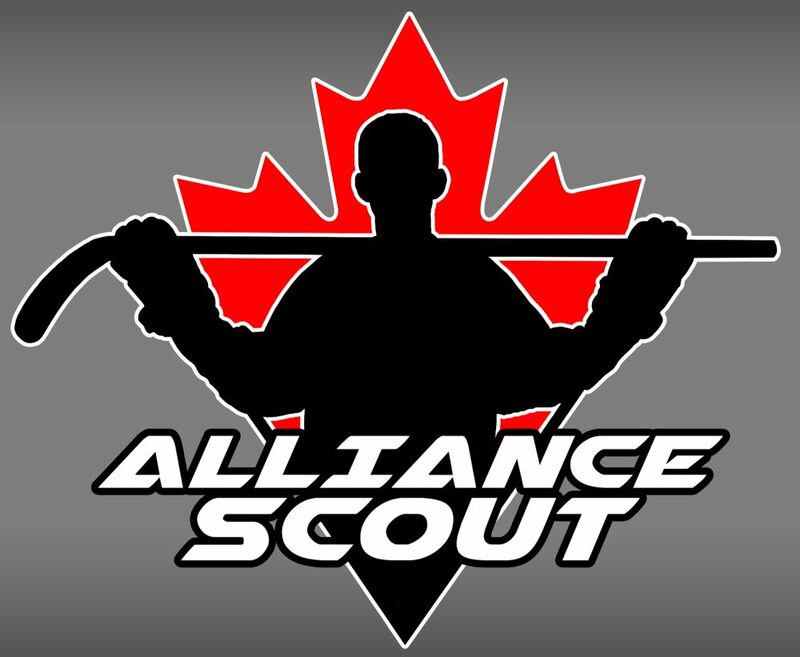 This entry was posted in Alliance Rankings, Brantford 99ers, Cambridge Hawks, Chatham-Kent Cyclones, Elgin-Middlesex Chiefs, Hamilton Huskies, Huron-Perth Lakers, Kitchener Jr. Rangers, Lambton Jr. Sting, London Jr. Knights, Sun County Panthers, Waterloo Wolves, Windsor Jr. Spitfires and tagged Alliance Rankings, ben bates, blake boudreau, brandon abbott, Brantford 99ers, brett harrison, cambridge hawks, camden daigle, cayden faust, Chatham-Kent Cyclones, cole melady, cooper way, daniel fraleigh, deni goure, elgin-middlesex chiefs, eric bertelsen, hamilton huskies, huron-perth lakers, jacob bramell, jake eaton, jett morningstar, joel verspeeten, jordan d'intino, josh cyrenne, josh kirton, kai greaves, keegan damota, Kitchener Jr. Rangers, kyle maloney, lambton jr. sting, landon mccallum, london jr. knights, maddox callens, marko sikic, mateo amaral, matt dimaline, matt sop, max donoso, max tremblay, michael simpson, nicholas mazza, owen parsons, ray hamlin, riley george, ryan burke, sam sedley, steven laforme, sun county panthers, tyler hotson, waterloo wolves, windsor jr. spitfires by Dave Coulson. Bookmark the permalink.